New Book by Dawn DeVries Sokol – Giveaway! My friend Dawn DeVries Sokol has a new book,The Doodle Circle: A Fill-In Journal for BFFs to Share! The publisher sent me a copy and I love it! It’s so cute. With four-color printing and lots of prompts, Dawn gives girls (of all ages!) another safe place to write, draw, and be creative. I am giving away a signed copy of this book here at the blog… just leave a comment below and you’re entered! I’ll pick the winner randomly on Thursday, October 10th. The winner was #46, Susan H! Thank you to all who commented. Dawn is also hosting a giveaway that includes a signed copy of the book, some pens, a handmade journal, and other goodies. Sign-up for the giveaway on Dawn’s Blog. The drawing will be on Saturday, October 12th. The “Doodle Circle” Blog Hop continues…. so be sure to visit each artist below! 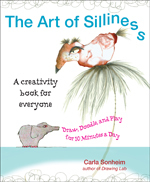 I so enjoyed your ‘Art Of Silliness’ that I just KNOW I’ll love this book. I would love to win this book. I have one young girl to start on art journaling. I would love the chance to win this unusual book. Would love to win this book for my granddaughter who will be 11 in one month. Love to doodle with friends ((-: How cool. TY for sharing! Dawn’s classes are fun – I’d love to win her book. This book looks awesome! I think i would be a good tool to explore creativity. Thanks for the chance to win. The book sounds like a WONDERFUL way to get girls to explore journaling, to help refine skills, to bring a new spin on old practices, etc. How neat is this book! Any skill level can enjoy it! Wow! So nice of you to help promote your friends book. I love my other doodle book by Dawn so I know I’ll love this one too! Thanks for the opportunity to win! I think my Bff’s daughter would LOVE this! Looks rlike somethint totally ME!!! I would love to win this book and mail it around in my craft group. What a treasure it would be. Dawn’s new book is such a charmer! My creative cohorts and I enjoy activities and prompts, like those in The Doodle Circle, to propel our creative thinking and discovery. 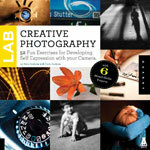 This looks such a great book – I’d love to win a copy! What a great way to jump into art journaling. Thanks for the chance to with this wonderful book. I’ve checked the book out and think I might need multiple copies! It’s a great idea. How awesome! My daughter and I would love it! My girls are always up for another great drawing book. This looks like a fun do-able way to get in some drawing. This looks like soooooo much fun!! How lovely of you to share this book with us with a giveaway! love to with the book I have 2 of her books right now. 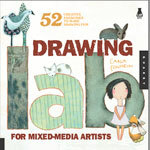 Oh I would so love to win this thanks so much Carla for being so generous..
Doodle is my middle name. Thank you for your generosity in giving away a great book! How cool would it be to doodle with friends!!! Loved Art, Doodle, Love and I’m sure this will be as inspirational. Thanks for the opportunity of the giveaway! 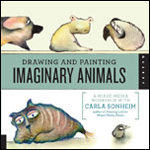 Of course I love your Art of Silliness and I would be tickled pink to win this book. Still working on my animation!!!! I’d love this book…thanks for the offer!